In our sunny little island of Singapore, we measure in metres (m), centimetres (cm) and millimetres (mm). 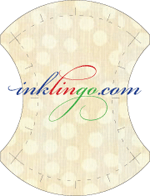 So, when I first started quilting, I was rather intimidated by the measurements and terms (predominantly imperial system). Then, I could not tell you how many inches or feet are there in a yard without googling it! Of course, it is a different story now. One interesting, not to mention, baffling term was ‘Fat Quarter’ and Fat Eighth’ when I was shopping for fabric supplies. I love love love how the pre-cuts look when displayed in their baskets/shelves and I did not understand how they are ‘FAT’. 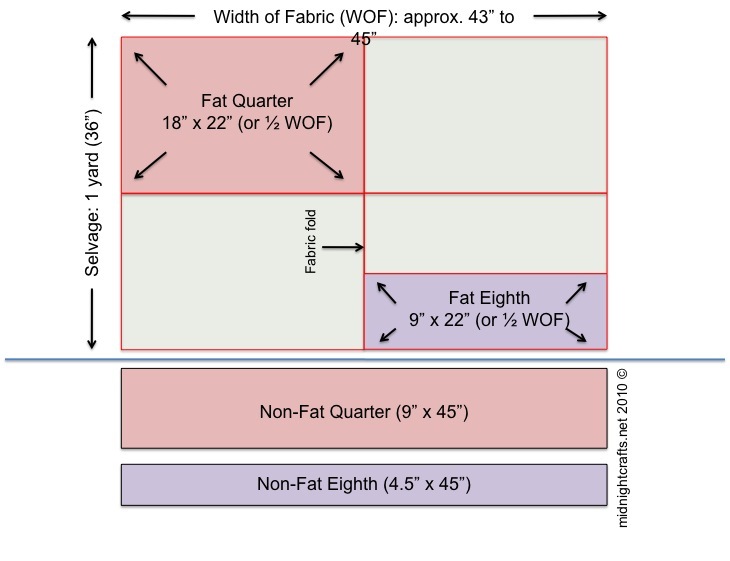 Here’s a visual explanation of the difference between a fat Quarter/Eighth and a normal quarter/eighth of a yard of fabric. So, comparing the Fat and the Non-Fat quarter, the Fat Quarter provides more useful real estate for the quilter to create with the fabric.